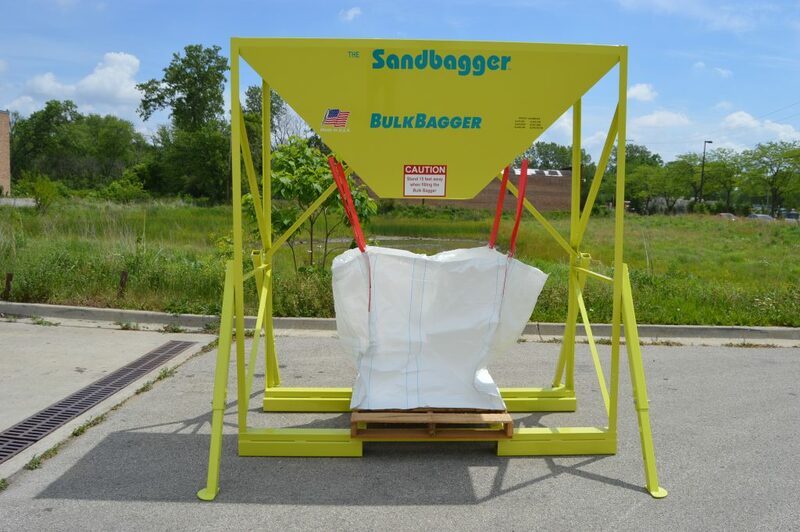 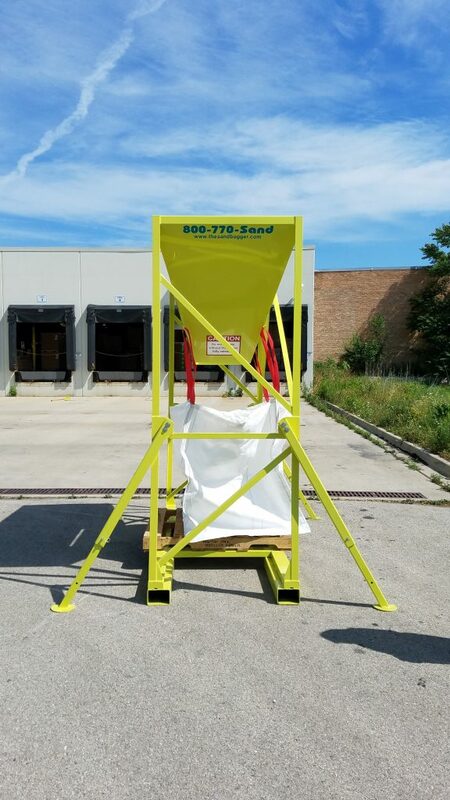 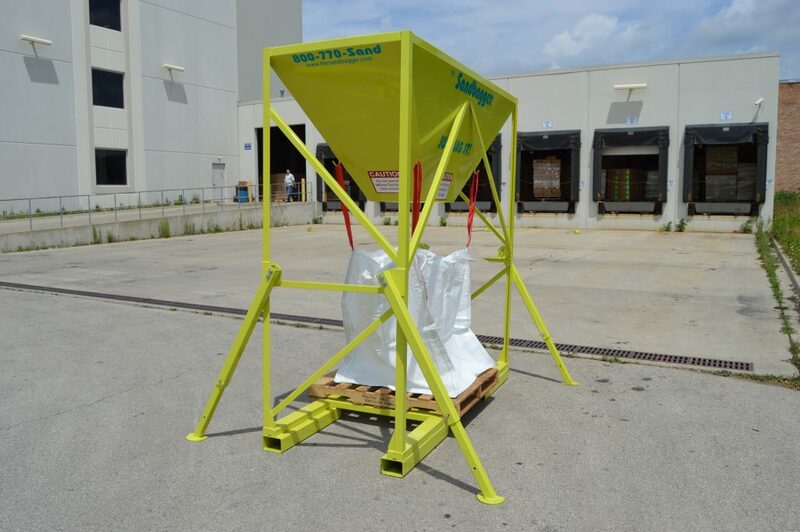 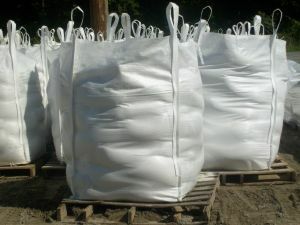 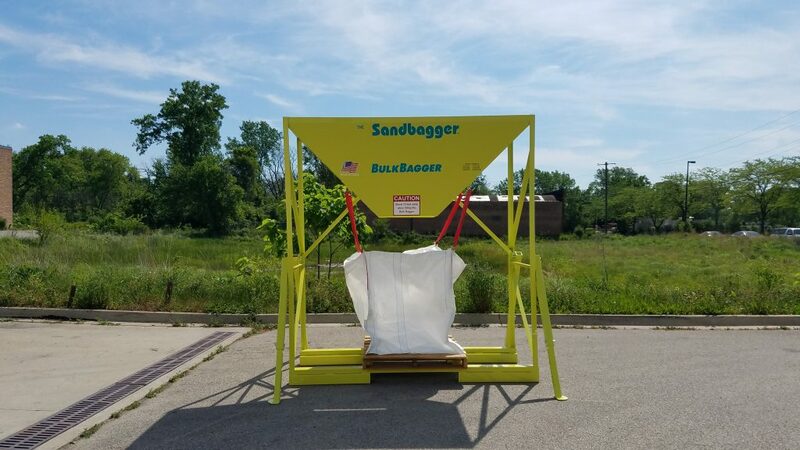 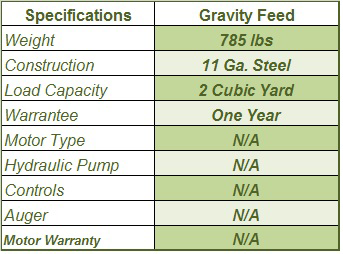 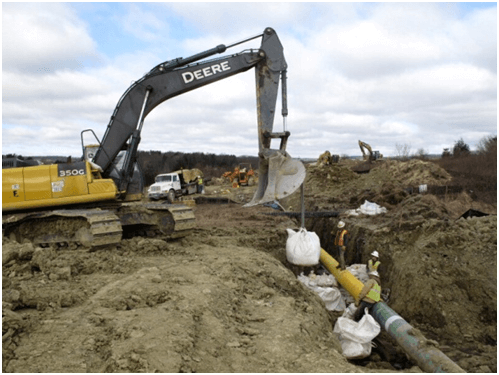 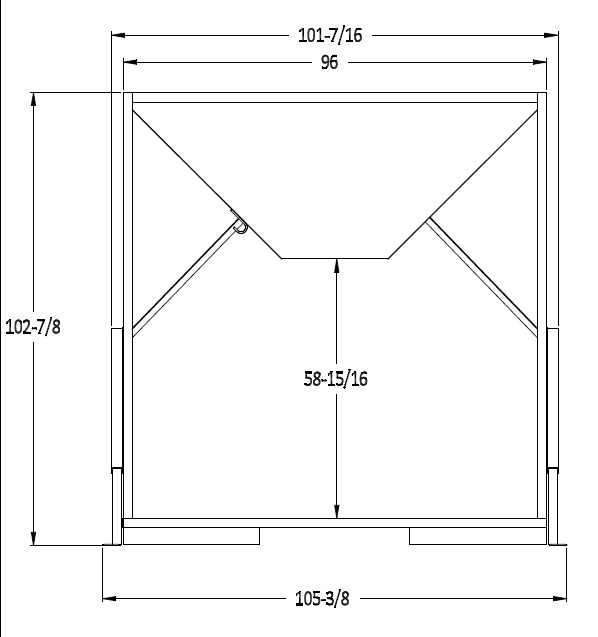 This gravity fed sandbag filling system is used to fill bulk bags / super sacks. 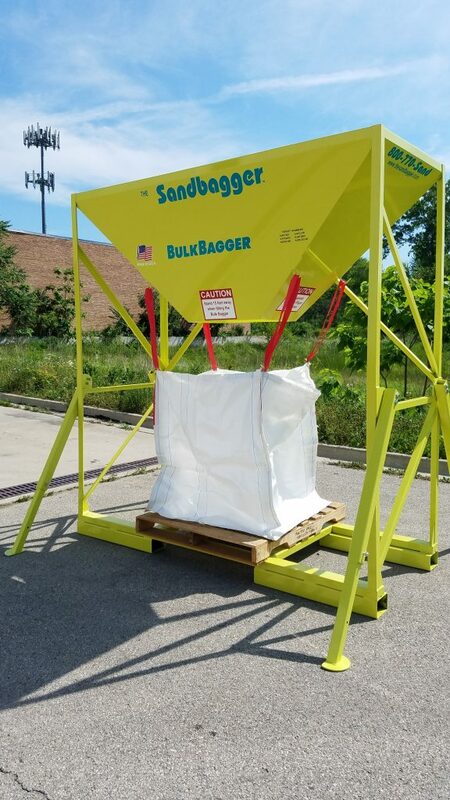 Simply place a pallet on the ground under the hopper, (this is for easy removal of the bag once filled) set the bulk bag under the hopper with the handles on the bag holder hooks, fill the hopper with your product (sand, stone, compost, top soil etc) and finally, use a fork lift to remove the pallet and filled bag. 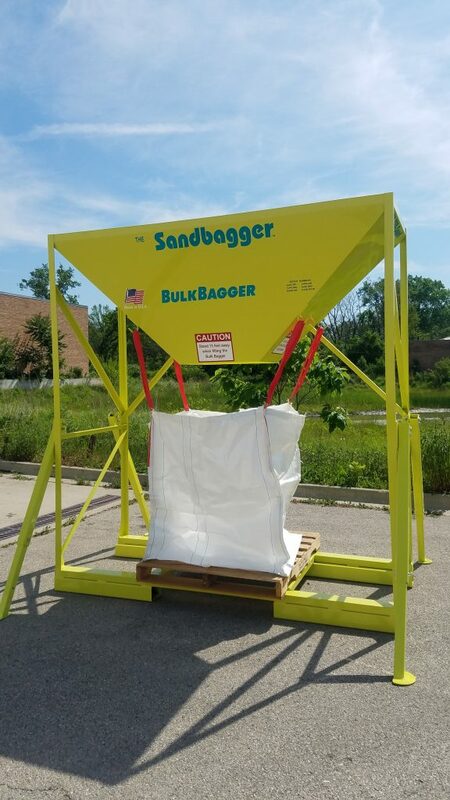 This equipment is self-contained and lightweight.